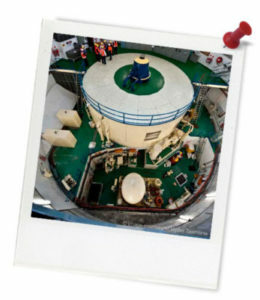 Quick summary: Students will learn about the operation of a hydroelectricity generating system. They will explore the mechanical effects of water and make links between mechanical and electrical energy effects. They will also translate the substance of an informative text into diagrammatic form. Students develop knowledge about energy generating infrastructure operated in Tasmania. Students synthesise facts and draw conclusions that are consistent with evidence. Students apply their knowledge and skills to answer comprehension questions about key facts. Students transfer written text to diagrammatic text. Use knowledge of scientific concepts to draw conclusions that are consistent with evidence (ACSIS170). Critically analyse the validity of information in secondary sources and evaluate the approaches used to solve problems (ACSIS206). Resources required: Internet access, Student Worksheet (one copy per student OR computers/tablets to access the online worksheet), Hydroelectricity 101 – Resource Sheet. 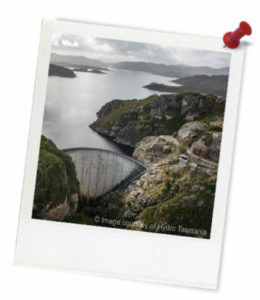 Keywords: Hydroelectricity, power generation, mechanical, electrical, energy, Hydro Tasmania. Overarching learning goal: By participating in this activity students will develop knowledge about energy generating infrastructure operating in Tasmania. They will synthesise facts and draw conclusions that are consistent with evidence and apply their knowledge and skills to answer comprehension questions about key facts. Thought starter: How does a water wheel work? Read the Hydroelectricity 101 - Resource Sheet, then make full sentence written responses to this series of questions. 1. To what does the prefix ‘hydro’ refer? 2. Why does a river need to have a particular degree of slope to be suitable for a hydroelectric scheme? 3. What category of energy does the action of water provide to the hydroelectric operation? 4. What two natural forces are employed to turn the turbine propellers? 5. What is ‘green’ about Hydro Tasmania’s use of water in their power stations? 6. Apart from the turbines and the electrical generators, what other machines are necessary in this operation? HINT: Think about the way in which water is returned to the dam. What we call an electrical current is a flow of in an unbroken chain. 8. Why are power lines made of metal?